There is a popular notion that the PAP government has let-in new citizens to shore up voter share in the upcoming election. But one new citizen is intent on bucking the trend. 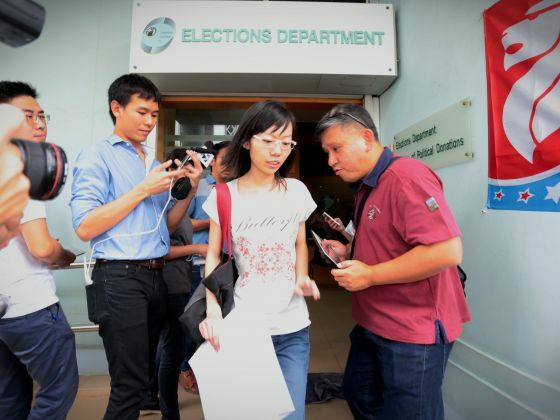 Political Activist and blogger Han Hui Hui recently announced that she would be contesting in Radin Mas Single Member Constituency (SMC) as an independent candidate. She chose Radin Mas, as it was the closest SMC to her home in Queenstown and she also added that she and her team have been walking the ground since 2013. The public, however, has not been taking the news positively. Ms. Han, a Malaysian by birth was naturalized as a Singapore citizen in 2010. She made the news when she had a dispute with the Council of Private Education. Contrary to advice given to her that it would be a futile effort, Ms Han pursued a protracted legal battle in court. When she had lost the case, she sought donations from the public to settle the hefty legal fee. It came as no surprise that turned to political activism and courted prominent activists like Roy Ngerng and Leong Sze Hian and co-organised protests on issues such as unemployment, population growth, worker’s rights and CPF. But often people viewed her with scepticism and thought that she had her own agenda. These protests did not capture the imagination of the general public with average crowds of only 200-300 attending the monthly event at Hong Lim Park. Her team even tried to get the involvement of major opposition parties but failed to do so. They had hoped to be co-opted by one of these parties and maybe be allowed to run the elections under them. She also called out for donations wanting 10,000 members of the public to help out with the cost of organising two rallies at Radin Mas SMC. This statement sparked a wave of remarks on Facebook. “Sounds like donations are the main intent. 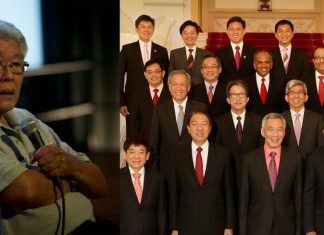 Not stepping forward nor voicing out the public’s opinion,” voiced out Cassie Yeong on Facebook. With the Reform Party announced yesterday that they’ll field a candidate Mr. Kumar Appavoo in the same SMC. Illegal bookies are putting out a wager that Ms. Han will lose her deposit. Whether it was designed as a publicity stunt to garner attention or a way to get more donations from the public, it appears that Ms. Han has nothing to offer to the people of Radin Mas. Perhaps we are reading too much into what her intentions are, and maybe, we should never look at the gift horse in the mouth.